If you’re planning a visit to Riviera Maya’s most popular theme park in the near future and are unsure of where to eat, not to worry. Xcaret has compiled a descriptive list of their restaurants for guests to read through prior to arrival. Of the five restaurants, only one serves Mexican food while the other four have an international cuisine. All of them have wonderful service and meals that will leave you satisfied. La Cocina is the Mexican restaurant, located at the entrance of the park. 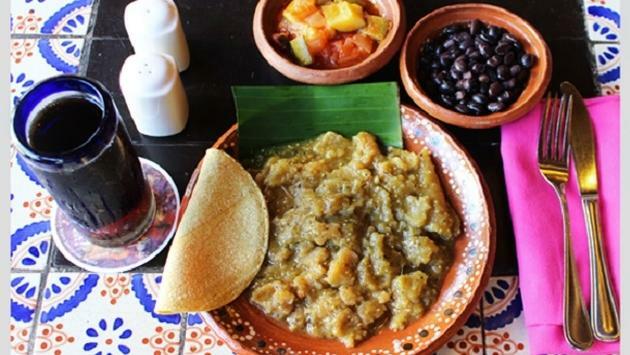 Choose from pork skin in green sauce, chicken mole, tacos, quesadillas and so much more. For those with a sweet tooth, various desserts are available such as three-milk cake and churros. Dos Playas restaurant is for the lovers of Caribbean food. Various seafood dishes are available, as well as barbeque ribs and desserts such as piña colada gelatin. For those families with picky eaters, La Laguna is your best bet: The menu varies from sushi to pasta and pizza. If you can’t decide on one type of cuisine, this extensive menu allows for everyone in the family to get something different. No matter which restaurant you choose, you are sure to get a good meal and great service. To read about more restaurants at Xcaret, click here.